Structural Wood Components is a leading supplier of handcrafted Heavy Timber Trusses and related components. For over 20 years we have provided outstanding products and services for churches, restaurants, banks, country clubs, schools, libraries, nature centers, parks, zoo’s, theme parks, pavilions, barns, amenity centers, developments, custom homes, residences and numerous other facilities. 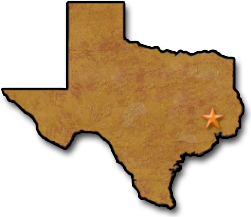 Located in Waller, Texas on the NW edge of the Houston metroplex, we have an impressive, City of Houston Certified, manufacturing facility that includes our on-site sawmill and re-sawing equipment; a full-service steel fab shop where we manufacture all of our truss plates and connection hardware in-house; a fully equipped wood fabrication shop, and our truss assembly areas. The size of our plant allows multiple truss projects to be manufactured at the same time. We have shipped custom-built trusses to over 36 states, Puerto Rico and the U.S. Virgin Islands. Structural Wood Components partners regularly with well-known architects, construction firms and home builders to design, manufacture and deliver quality wood products for commercial, institutional and residential structures. With personal attention and focus on detail, our experienced team will guide you through every step in the procurement process, from the initial design phase, to engineering, fabrication and final delivery to the job site. Our beautiful Heavy Timber Trusses, Wood Accent Pieces and Loose Timbers are customized to satisfy both your visual and structural requirements. Our well-equipped facility and efficient fabrication techniques allow us to deliver our high-quality products in a timely and cost effective manner. Skilled craftsmen are utilized to produce high quality products that are backed by years of experience. We strive to provide distinctive designs and a caliber of product that reflects our reputation as a leading supplier of architectural building components. Structural Wood Components aims to ensure customer satisfaction. From our world class website with a wealth of information in our knowledge base, to timely communication and professional design assistance, all the way thru the manufacturing, delivery, and installation – we are there to make sure our customers are 100% satisfied. We hope to become your preferred resource for all your Heavy Timber Truss and wood product needs.